Xuan Huong Lake was originally a valley with streams flowing through Cam Ly. Where gathering of Lach people early. In 1919, from the initiative of the public servant Cunhac, Labbé's public servants took steps to prevent the stream from becoming a lake. Why Xuan Huong Lake is unique? In 1923, the contemporary authorities built a dam underneath which formed two lakes. And in March 1932, a major storm broke both dams. But from 1934 - 1935, Engineer Tran Dang Khoa designed, built a large stone dam: it is the bridge today. The French name is Grand Lac (Great Lake). 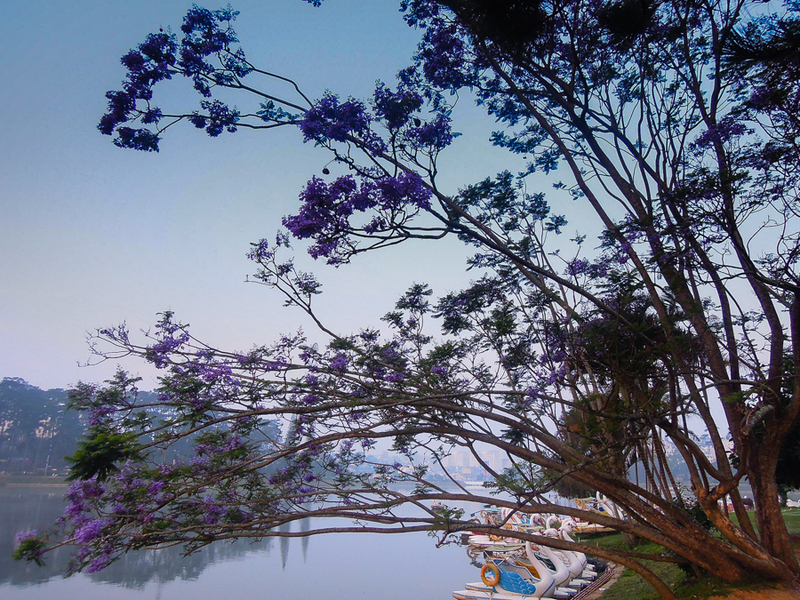 Xuan Huong Lake is the heart of Da Lat city and one of the rare cities with lakes in the center. Nowadays. It is a famous place and also a tourist attraction to create a special feature for Da Lat. The outstanding architecture associated with Xuan Huong Lake is Thuy Ta. The French name was "La Grenouillère" (frog Lagoon). Do not understand why this name? But look through the structure to see the tower to jump into the water as in the pool. "Thuy Ta" is also known as "Thuy Ta", meaning an architecture located on water. With the information above about Xuan Huong Lake. Your Dalat canyoning tours will be more interesting at Origin Travel.